As my colleague Dan Cadman has pointed out, asylum is not for people who are simply victims of everyday crimes, even if their stories are sympathetic. Rather, asylum is an extraordinary form of protection for people who are unable or unwilling to return to their country because of "persecution or a well-founded fear of persecution on account of race, religion, nationality, membership in a particular social group, or political opinion." 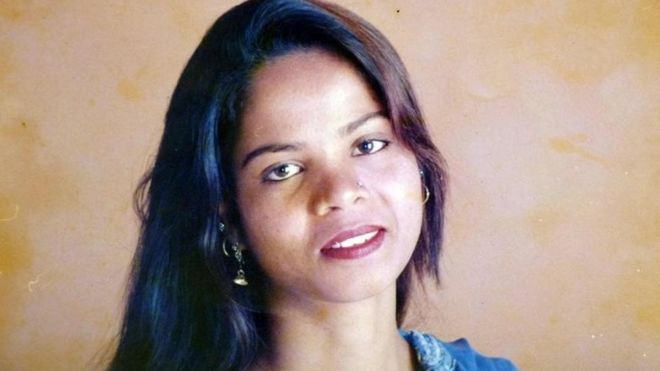 Asia Bibi is precisely the sort of person deserving of such protection. For background, Bibi is a Catholic Pakistani woman who was imprisoned in Pakistan for nearly nine years and sentenced to hang for blasphemy. A Muslim woman accused her of defiling the name of the Prophet Muhammad during an argument over drinking water in 2010, although Bibi disputed that account and said it was in fact the Muslim woman who mocked Christianity. The case was effectively a she-said-she-said argument. On October 31, she was acquitted of the charges by Pakistan's Supreme Court due to insufficient evidence and freed. Her acquittal caused massive outrage among Islamists in the country, and thousands of protestors took to the streets to call for Bibi to be hanged. The government and protestors are currently in limbo, and are discussing placing her on an "exit control list" that would prevent her from leaving the country while she remains secured in an unknown location in Pakistan. Shamefully, the United Kingdom did not offer her asylum, citing concerns over "unrest and attacks", presumably from British Muslims upset with the ruling. It is a sad reflection of Britain's own migration policies that it has imported the religious unrest that plagues much of the developing world to its own shores. Wilson Chowdhry of the British Pakistani Christian Association, which supported granting Bibi asylum in the UK, lamented, "It does seem to me that Britain is now a country that is unsafe for those who may be tarred with an allegation of blasphemy. We are very aware that there are extremist elements in this country." However, Britain's failure to protect Bibi offers the United States the perfect opportunity to use its asylum laws as they were intended, and protect a highly sympathetic victim of blatant government-sanctioned religious persecution. In addition to the straightforward argument that there is a compelling moral case to protect her, offering Bibi asylum could also win the United States goodwill with Christian countries across the world, with human rights groups such Amnesty International that have opposed Pakistan's blasphemy law, and with the American people themselves — over 70 percent of whom are Christian according to Pew (not to mention the many non-Christians who would surely also sympathize with Asia Bibi's situation). Although President Trump's decision to lower the refugee ceiling to 30,000 for fiscal 2019 was guided by legitimate national security and humanitarian considerations, it nonetheless earned him pushback from humanitarian groups. The President of HIAS, a Jewish nonprofit group that helps resettle refugees, even called it "a total abdication of American leadership". Offering Asia Bibi asylum would be the perfect chance for President Trump and the United States to demonstrate to detractors that this country will continue to protect the most vulnerable and the most persecuted people around the globe, and will remain a guarantor of religious liberties. It's an easy win — and more importantly it's the right thing to do.